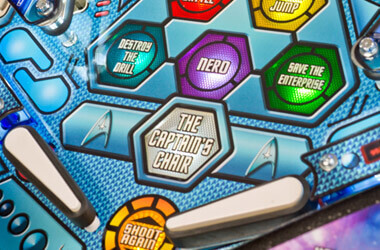 The latest, greatest pinball machines. 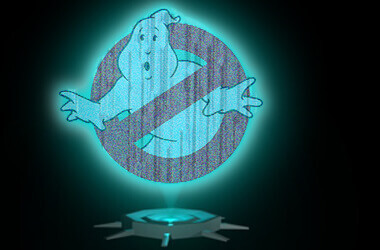 Brand new releases & popular franchises. 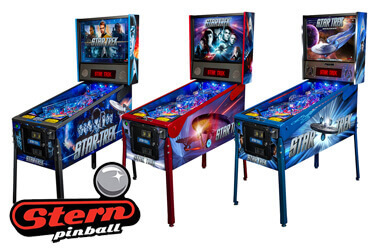 Browse the newest machines from Stern Pinball, Jersey Jack & other manufacturers. Classic pinballs restored to their former glory. Carefully reconditioned by our trained technicians. We have a huge range of classic pins going back to the 1970s. Find your favourite in our range now. Surprisingly pinball machines, or something like them have been around since the 1800's, however it's been since the 1940's and 50's that pinballs really took off (especially with the introduction of the flipper in 1947). 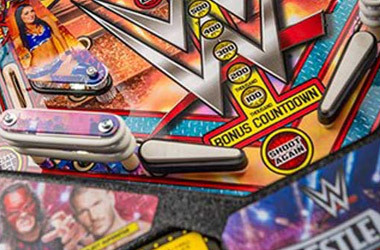 During that time and up until the present day pinball machines have been an art form of their own, there really is nothing else quite the same! Sadly there are only a handful of manufacturers left in business today, including Stern Pinball of Illinois and Jersey Jack, both based in the USA. The relentless march of the video game sent some famous names such as SEGA Pinball, Williams and Bally down during the 1990's. Luckily the quality and sheer playability of modern machines like those from Stern and Jersey Jack have endured the test of time. Many of the most popular of Stern's latest creations are movie-based or band tie ins (as has often been the way), but thanks to advanced electronics more sound, music and graphical elements than ever can be incorporated into the games. Each of the modern Stern games is produced in a limited run, so once they are sold they are gone forever! However at Liberty Games, we love pinball, and have some of the UK's leading pinball technicians working for us. This means we can source many classic pinball machines, give them a total facelift and get them back to their working best. So if the latest Stern masterpiece doesn't do it for you, take a look at our refurbished pinball section to see which classic tables are available for sale. Just bear in mind that like many things pinballs are becoming collectables these days, so popular titles such as Star Trek : The Next Generation and The Addams Family are getting harder and harder to get hold of. All pinball tables sold by Liberty Games come with a full warranty for total peace of mind.